Produktinformationen "Olimp BCAA Xplode 4:1:1 Powder 500g"
As much as 4,5 g of the highest quality and pure BCAA per 5 g portion ! take 1-2 portions a day – before a meal or training and after training or before sleep. Add 1 portion (5 g of powder = 1 scoop) to 250 ml of water. Consume directly after preparation. Do not exceed the recommended daily dose. Food supplements should not be used as a substitute for a varied and balanced diet. A varied and balanced diet and a healthy lifestyle are recommended. Keep out of reach of children. Warning: not recommended for children, pregnant and lactating women. The sediment may occur, which does not affect the quality and effect of the product. 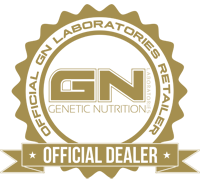 BCAA amino acids (60% L-leucine, 15% L-valine, 15% L-isoleucine), acidity regulator – citric acid; flavourings, sweetener – sucralose; emulsifier – lecithins (from soy); colours: carotenes (A), carmines (B), riboflavins (C), E 150c (D), E 150d (E), E 133 (F), patent blue V (G), indigo carmine (H), chlorophylls and chlorophyllins (I), curcumin (J), anthocyanins (K), paprika extract (L), betanin (M), vegetable carbon (N). (A)-(Z) – Depending on the flavour of the product for ingredients used see symbols (A-Z) beside for the date of minimum durability (best before). 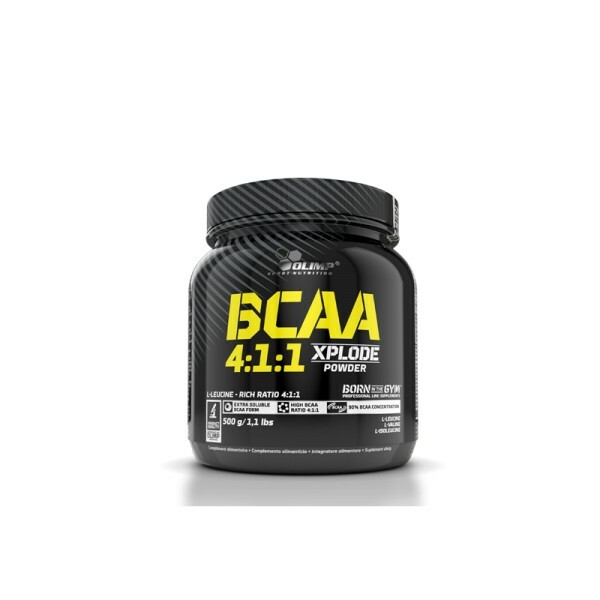 Weiterführende Links zu "Olimp BCAA Xplode 4:1:1 Powder 500g"
Kundenbewertungen für "Olimp BCAA Xplode 4:1:1 Powder 500g"